Personal thoughts, experiences & reviews about food, travel, devices & gadgets. 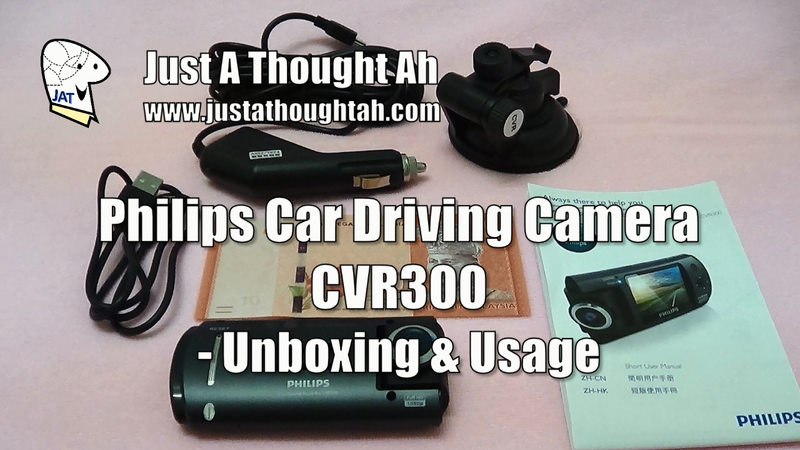 Our first purchase of a car camera was a horrible failure. So for our second purchase we decided to go for a more reputable brand. 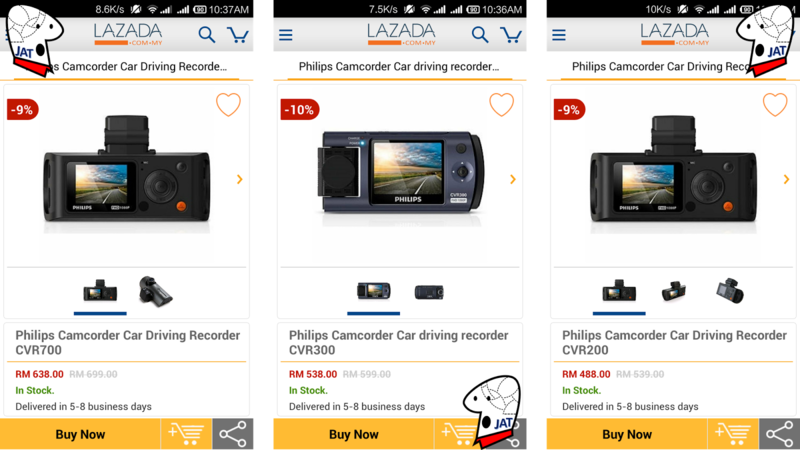 My first instinct was to check the prices online, and I had the Lazada mobile app installed. From my previous posting you’ll noticed I’d made numerous purchases online as it was more economical, but this time I was shocked. Not everything sold online is cheaper from physical stores. Don’t believe the claims of so called ‘discounts’ - do more survey & comparison. 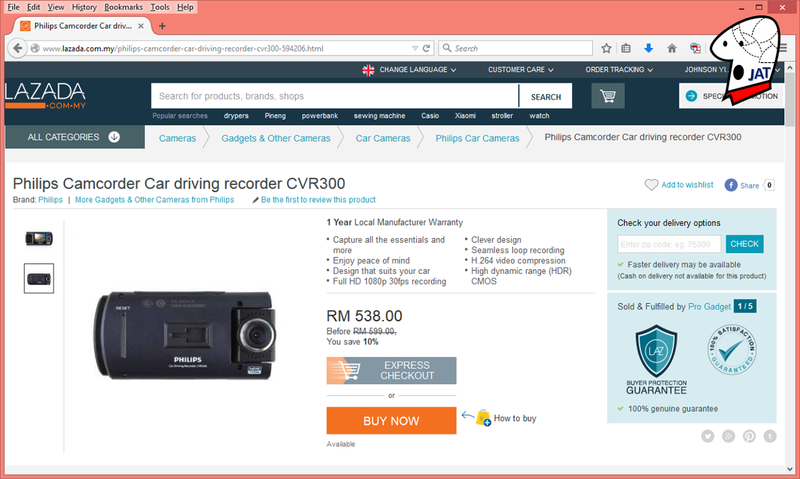 Hence our second purchase of a car camcorder is the Philips Car Driving Recorder CVR300 for RM399.00. On top of already great price, we gotten 3 x RM10 book vouchers from Popular (there was an ongoing promotion for every RM120 spent, a RM10 voucher will be given). [Updated, 20 April 2015] Here are some sample videos that have been uploaded unto YouTube. The videos were not edited in anyway prior to uploading to YouTube. The camera was set to record at Full HD 1920x1080 30fps 16:9. Time stamp enabled. Audio disabled. If you wish to view the original video files, please click here. Greetings Julian, there are samples in the playlist where we were driving on the North-South highway & NKVE. The videos traveling on the highway at 110km/h are quite good. However there was two samples videos where it was raining AND there were no street lights on the highway - that weren't clear.